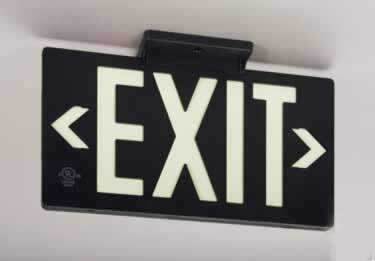 Approved for New York City and California Codes. Aluminum. Feature a durable unitized single layer construction. Starting at $43.38. 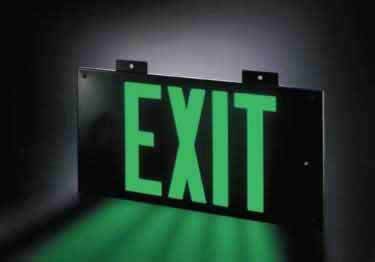 A truly economical choice for UL-924 listed approved exit signs. 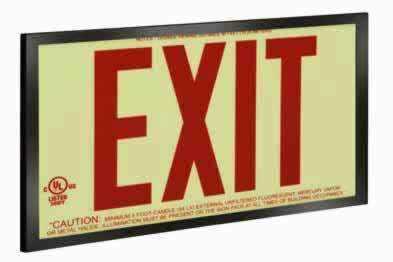 Signs can be seen from 50ft & are guaranteed for 25 years. Starting at $118.28. Visible from 50 feet, reducing the risk of panic or injury during emergencies. Starting at $138.51. 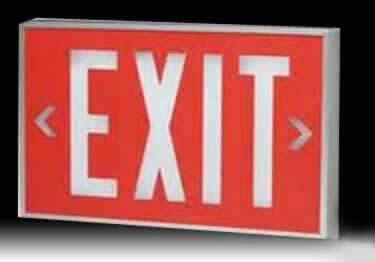 Perfect choice for metal exit signs in wet areas/outdoors. Visible from 50ft. UL 924 listed. 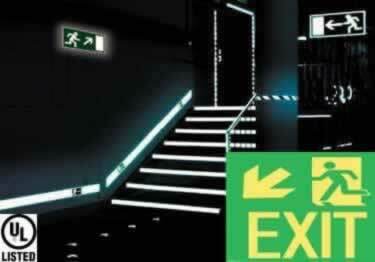 Meets NFPA and OSHA requirements. Starting at $190.12. Visible from 100 feet. Commercial buildings, retailers, schools & universities, hospitals & healthcare facilities. UL-924 listed. Starting at $344.12. 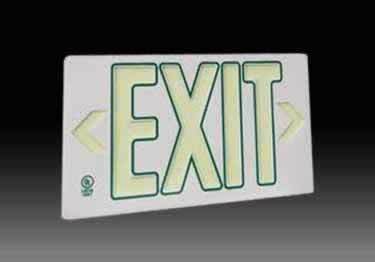 A continuous non-electrical source of illumination, requires no external energy source & as such are energy efficient. Starting at $296.66. 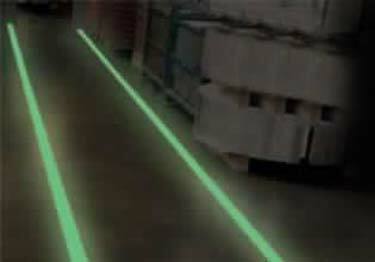 Our Premium Glow Tape offers 6+ hours of glow during emergency situations. Plus it's easily understood during chaos. Starting at $19.57.